If there’s one rumor that just won’t go away, especially when there is talk of a new iPhone being on the cards, it’s the suggestion that Apple is all set to bring a new, larger screened device to market. The release of the iPhone 5 was the first time those rumors were actually right, but with some claiming a yet larger device is on the horizon, could Apple be about to take Samsung on at its own game? 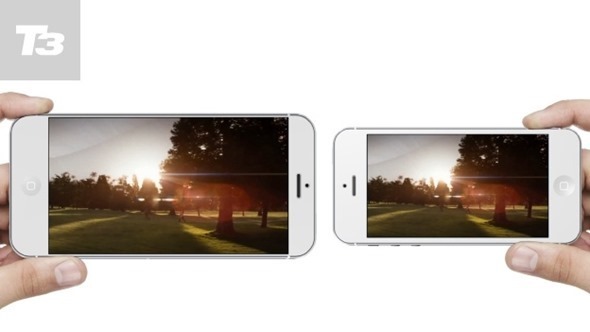 Apple’s currently shipping iPhone 5 packs a 4-inch display, considerably smaller than Samsung’s 5-inch panel that currently adorns the Galaxy S4. That extra inch makes for quite a bit more screen real estate and importantly, makes a full HD display possible. Samsung’s Galaxy S4 runs at 1920×1080 pixels, or 441 pixels-per-inch. Apple’s iPhone 5 sits at a 1136×640-pixel resolution and 326 ppi. That’s quite a difference. 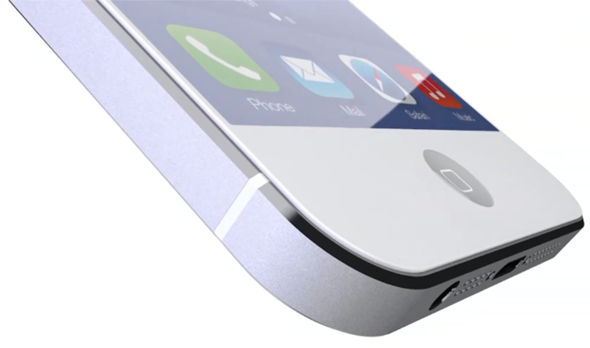 Claims that Apple’s next handset, be it the iPhone 5S or iPhone 6 will feature a pocket-busting 5-inch-plus display have led to a new concept to be put forth, featuring an “iPhone 5.7.” We weren’t all that keen on the idea of a larger iPhone phablet until we saw this concept, and now we want one. Really want one! The concept itself offers a handset packed with the same resolution screen as Samsung’s headline device does, along with a quad-core A7 chip in order to make it easier for iOS 7 to push all those pixels around. Placed side-by-side with an iPhone 5 and showing iOS 7’s colorful interface it’s clear that a near-6-inch iPhone would look stunning. We just wonder whether it’d be a little too big for us to really use. Realistically we think a 5-inch device would be better than a 5.7-inch affair, but with Samsung’s Galaxy Note series selling well, what’s to say Apple won’t skip the 5-inch market completely? Stranger things have happened, that’s for sure, but we don’t think we’d want to bet our houses on it. Or even a shiny penny, for that matter! Rumors of what Apple will incorporate into the next iPhone are rife at the moment, with claims and counter-claims on a seemingly daily basis. In fact, recently, we saw a report claiming that Apple is looking into launching a 5.7-inch iPhone (or a phablet, as we love to call it here) next year. We’ll know more closer to the expected release date towards the end of the year, so until then it’s really mainly guesswork.